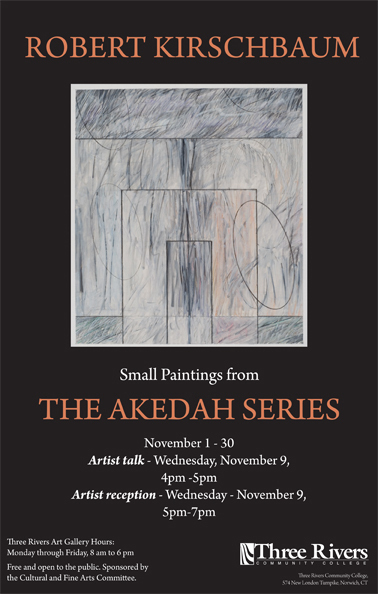 Robert Kirschbaum's art exhibit "Small Paintings from The Akedah Series." Gallery Reception Wednesday, November 9th, 5 - 7 PM. The Gallery at Three Rivers. Robert Kirschbaum, “Akedah Series, #52," 2009. Mixed media on paper, 9” x 8”.